Yummo – these little truffles are soo rich! You really do only need one. Combine pecans, cinnamon and salt in a food processor and pulse into a fine topping. Using a spoon, scoop 2 Tbsp. 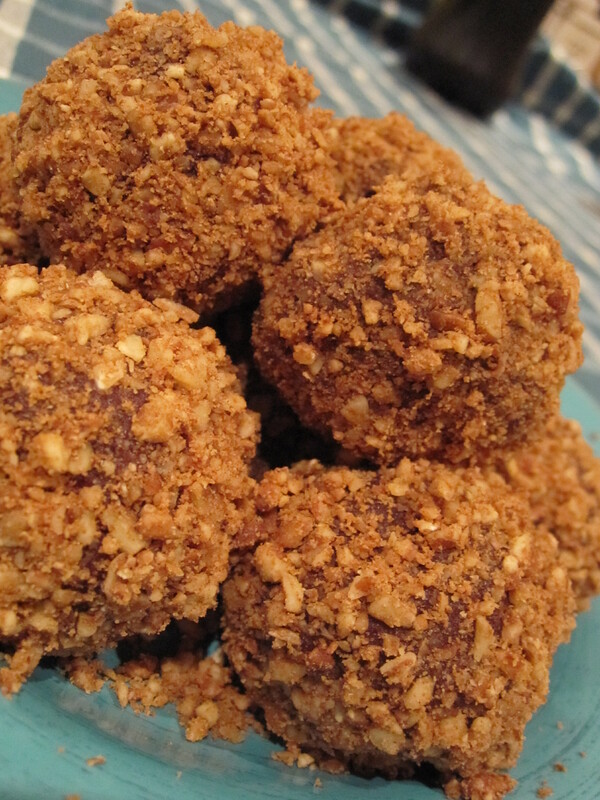 of base and form into a ball by rolling in your hands, roll in the pecan mixture and set aside. Refrigerate and an hour or so and then enjoy! Warning – super rich! I made about 12 truffles…. Another gourmet recipe from ‘The Art of Raw Food Living’….